Updated at 11:35 a.m. on Feb. 5 — Corrects description of food truck proposal. 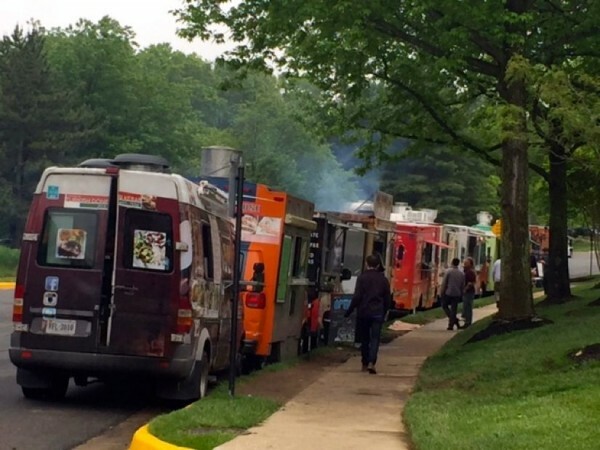 After some success in Tysons, Fairfax County’s “mobile food vending zone” program could soon be expanding to the Herndon area. The Fairfax County Board of Supervisors is scheduled to vote on a proposed change to the Fairfax County Code that would allow two new locations for food truck vending at its meeting next Tuesday (Feb. 5). The Herndon location is on Dulles Technology Drive near the Sunrise Valley Drive just south of the Dulles Toll Road. Another vending zone would be located in the Mount Vernon area. Food trucks in the vending zones are required to meet the county’s permitting requirements. There is also a special agreement required to set up in the vending zones, which will be marked by signs. The cost to install new signs at both locations is estimated at $400. Each vendor can only set up for a maximum of four hours any given day at any given location. According to the agreement, food vending operations are prohibited from 10 p.m. to 7 a.m. and before 9 a.m. on Sundays or federal holidays. The vendors are also responsible for making sure the areas around their truck are free of trash.